One of the best things about being a retailer today is having access to a multitude of tools, apps, and platforms that can make your work life more efficient. While merchants of the past relied heavily on manual admin, paperwork, and inefficient communication channels, modern retailers enjoy the benefits of speed, automation, and cloud-based systems. Web and mobile apps allow you to access information from anywhere, sync with your team easily, and run your business on the go. Many retail technologies were previously out of reach for smaller retailers due to high costs and complex integration requirements. Thankfully, more software tools are creating affordable options for small and medium-size retailers. So, which applications or tools are worth investing in? To answer that, we did some research and looked into the various retail solutions in the market. We also caught up with a few experts who shared their thoughts on the tools retailers should be using. Have a look at our findings below. Running an efficient store requires easy communication between multiple parties (i.e., associates, managers, head office staff, vendors, etc.,). Keeping everyone on the same page can be tricky, especially if everyone is spread out across different locations and offices. A solid team communication platform like Slack addresses these issues by providing a “collaboration hub” for all your internal comms. With features such as channels, one-to-one chat, search, and file sharing, you never have to worry about team members missing any important memos or announcements. Slack has a free version with limited features. Paid plans start $6.67 per active user, per month. Metrics such as in-store traffic and conversions are invaluable in retail. Knowing how many customers walk through your doors and their likelihood to buy will enable you to make smarter decisions around staffing, merchandising, and marketing, among other things. Enter Dor, a foot traffic analytics platform that enables you to measure your in-store traffic with ease. Dor is incredibly simple to set up. Rather than requiring you to install complex hardware or do any hardwiring, Dor’s device installs in minutes so you can focus more on getting the data and insights you need. Another cool thing about the solution? Aside from surfacing traffic and conversions, Dor can show your staffing needs alongside weather data so you can improve team schedules and plan your store operations more effectively. Every merchant needs a retail management platform for staying on top of their sales, inventory, and customers. Vend, a cloud-based point-of-sale and retail platform for small and medium retailers, is one example of a tool that can help you do just that. In addition to being an easy-to-use POS system that allows you to ring up sales, Vend comes with powerful stock control capabilities for managing inventory from one to many stores. The software also offers retail reporting and analytics to give you insights into how your products are performing and who your top customers are. Vend offers a free 30-day trial. Paid plans start at $99 per month. Finance tracking is a must for any merchant, so it’s important that you arm your business with a robust accounting solution. Our pick? Xero, a cloud-based accounting software designed for SMBs. With a nifty dashboard that tracks the finance side of your business, you never have to dig around for the info you need. Cash flow reports, invoice information, as well as bank account and credit card updates can be accessed in one place. Xero also offers payroll tools and integrations so you can track work hours, approve time-off, and pay your employees efficiently. It even calculates tax payments and allows you to pay right from the software, making filing taxes less of a pain. Xero offers a free 30-day trial. Paid plans start at $9 per month. Need a solution for managing your staff, implementing schedules, and tracking attendance? Try Tanda, a cloud-based time and attendance software that enables you to manage your workforce with ease. A quick look at Tanda’s features makes it easy to see why retailers like Mike love the solution. It offers all the essential employee management features, including staff onboarding, scheduling, leave management, and time clock implementation. Tanda offers a free 14-day free trial. You’ll need to get in touch for more specific pricing information. Today’s consumers are smarter, savvier, and more knowledgeable. It’s no longer enough to put out a generic discount and expect shoppers to walk through your doors. You need to be smarter with your marketing initiatives and be adept at delighting your customers and anticipating their needs. This is where Collect comes in. Collect is a platform that lets you manage and automate just about every marketing component of your retail business. It offers a flexible loyalty program that enables you to implement points, rewards, and VIP programs across your store and e-commerce site. If you communicate with your customers regularly, you can use Collect’s email marketing features to automate communications such as welcome messages, birthday offers, product recommendations, and more. Have a strong online presence? The platform is packed with conversion tools such as abandoned cart workflows and exit pop-ups to help you maximize sales. Best of all, Collect has AI and machine learning capabilities that can automatically recommend marketing flows, action steps, and messaging based on your store’s (and other retailers’) data. Pricing depends on the specific features you sign up for. Collect “Loyalty” capability starts at $29 per month. The “Offers” capability starts at $29 per month, while “Feedback” starts at $9 per month. 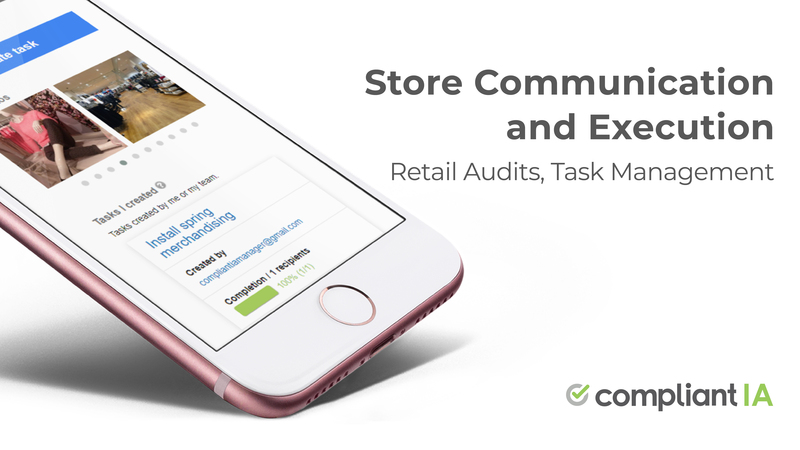 A conversation about modern retail tools won’t be complete without retail audit and store execution software. The bar around customer experience, design, staffing, and store safety is higher than ever, and you need to see to it that your retail stores are up to snuff. That’s where Compliant IA comes in. As a cloud-based software, Compliant IA helps ensure that your store operations, merchandising, and loss-prevention initiatives meet (if not exceed) your company standards. 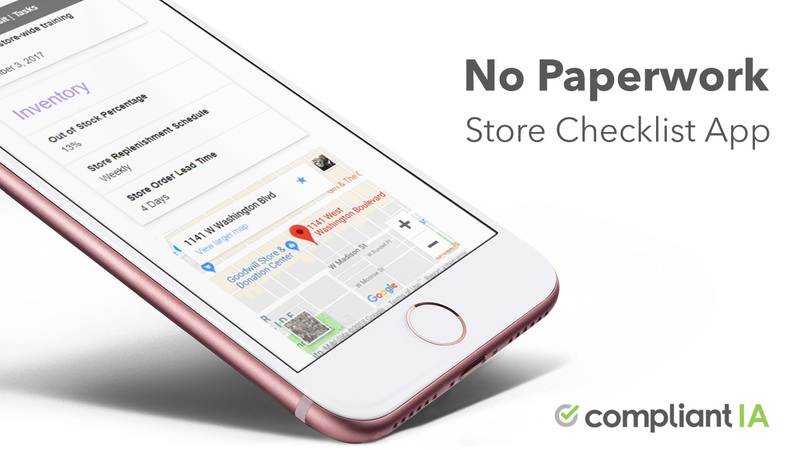 Management and store staff use the app to complete smart checklists in-store, take photos, and assign tasks with automated reminders. Head office sees everything in real-time, anytime and everywhere. Compliant IA reduces the time and effort it takes to conduct store audits, thanks to features like built-in calendars, store mapping, automated scoring, and action plans. Task and ticket management are also streamlined, as Compliant IA lets you assign and track action steps through a cloud-based platform that can be accessed from anywhere. Compliant IA offers a free 30-day trial. Paid plans start at $99 per month. If you’re managing stock across retail, wholesale and other logistical channels, check out Stitch Labs, a multi-channel inventory management platform for merchants. Stitch Labs syncs your inventory across retail and wholesale, so whether you’re selling in your own store, on your website, through third parties, on online marketplaces — or all of the above — you can keep your stock in check. Stitch Labs also has powerful logistics and fulfillment capabilities; the system lets you split and route orders, implement hold order periods, and control shipping to ensure that your products go out to the right channels, at the right time. It even works with various warehouse management systems, third-party logistic platforms, and shipping services so you can integrate Stitch Labs into your existing workflows. Get in touch for trial or demo information. Paid plans start at $499 per month. If you offer in-store services and have to manage or “check-in” your guests, then a visitor management system such as Qminder is a must. Here’s how it works: visitors sign in through an iPad upon entering your store, and once they’ve entered their details, they’re free to browse your shop as they wait for their turn. (They can also check their place in line and get status updates.) Qminder also gives your staff the information of why the visitor came in, allowing your team to better serve shoppers. One of the things that makes Qminder unique is its Service Intelligence capability, which can track and save foot traffic and service metrics so you can make data-backed decisions around employee training and store initiatives. “Qminder is initially a visitor management system but the real cherry on top is what we call Service Intelligence — a set of specific customer and employee-related metrics that have been proven to help companies deliver consistent results,” says Giorgi Lobzhanidze, a Content Marketing Specialist at Qminder. He adds that several retailers use their solution to provide great experiences for both customers and employees. Qminder offers a free 14-day trial. Paid plans start at $249 per month. Having a strong online presence is critical for any retail business. Many consumers begin their store or product searches online, so you want to make sure that your website is visible whenever your target customers are searching for stores or products that are relevant to your business. How can Ahrefs increase your online visibility? For starters, it has unmatched keyword research capabilities that can shed light on the terms that your customers are searching for, so you can target the right keywords in your SEO and online advertising campaigns. The tool also provides competitive intel by shedding light on your competitors’ top keywords and pages. Such information can be invaluable in your competitive analysis and strategy. Ahrefs offers a 7-day trial for $7. Paid plans start at $99 per month. Do you use any of these tools in your retail business? Did we miss any great apps? Let us know in the comments! Previous Post As a Manager, Are You Really That Important?